Suilvision provide a full ANPR system to cater for Site entry/exit security utilising Barriers, Gates, rising bollards and road blockers. The ANPR system is made up from the S Range of cameras, usually the Nimrod or Bollard camera, a Processor and the mysuilvision Software package. Used widely for Hotels, Golf Clubs, Business Parks, Private Estates, construction sites and Commercial Premises. The system is fully automatic whilst allowing users to configure the software to allow vehicles in or out depending on the criteria. The user will have the ability to input data into the system for each employee, visitor or guest through an easy to use window which will assign a vehicle to the person and its corresponding number plate. The system will keep a log of all activities and provide several reporting functions. An authorised vehicle will be allowed in or out of the site depending on the information provided. Seamless integration with barrier control provides automatic operation once the plate has been read and the criteria established. The system provides the user with remote access to the database from up to three locations by way of a Client application program supplied as part of the package. 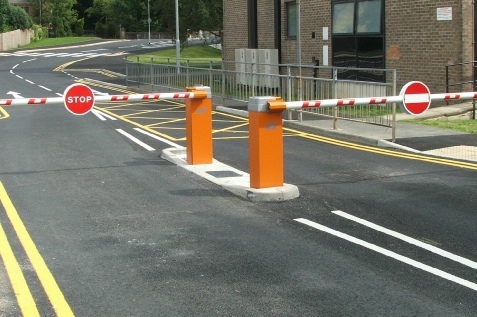 Barriers with ANPR are used to provide Security to Private Company Car Parks to manage staff and visitors allowed on site. The Suilvision System incorporate Parking Facilities Barriers to provide a fully integrated system managed by either the SMS Management software or the new mysuilvision solution.